After installing Primatte Keyer v5 you may receive this message while After Effects is loading, please complete the steps that are outlined below to remove this unneeded version. Go to the following directory on your hard drive. Delete the "Primatte Keyer 4.1" or "Primatte Keyer 4.0" folder (depending on your verison of After Effects). 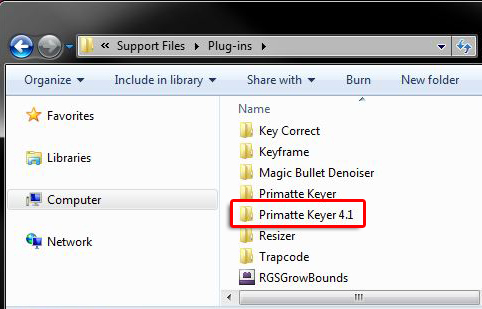 Do not remove the "Primatte Keyer" folder, this is Primatte Keyer v5.